Cheesy Corn Casserole. 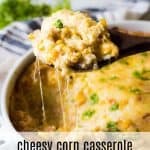 This EASY to make corn casserole is a must make for Thanksgiving or any holiday. Loaded with cheese, buttery crackers and corn this will quickly become a family favorite! To be honest I had never heard of corn casserole before marrying my husband and he requested it for our first Thanksgiving together. Thankfully his grandma gave me the recipe she has used for years and that he loves! Which is the recipe I’m sharing here. I know a lot of versions of corn casserole involve using corn bread mix, but we’re not going to do that! Corn casserole is a traditional holiday dish. It’s also called corn pudding. It’s made of fresh, steamed, or canned, corn, and thickening agents. This version of corn casserole uses cheese, cracker crumbs, and eggs to create the texture. There’s also some onion, and and some seasonings to add some extra flavor! 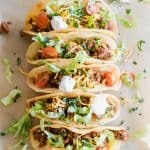 What corn can I use? 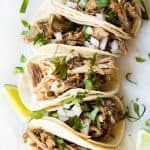 I use canned corn when making this recipe. 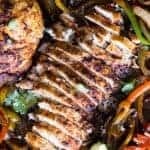 It saves time and it makes it easy to put together, which is helpful since I typically make this as a holiday side dish. I love the texture of using one can whole kernel corn and one can creamed corn. Fresh corn: Remove the corn from the husks. Using a sharp knife, slice off the kernels of corn. With the dull side of the knife press and scrape the cob all the way down to remove all the bits of kernel and creamy milk inside. Then follow the recipe as written using this fresh corn. You will want to use about 8 ears of corn. Frozen corn: make sure to thaw the corn before using in this recipe. 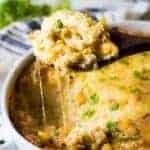 Other options for Corn Pudding? 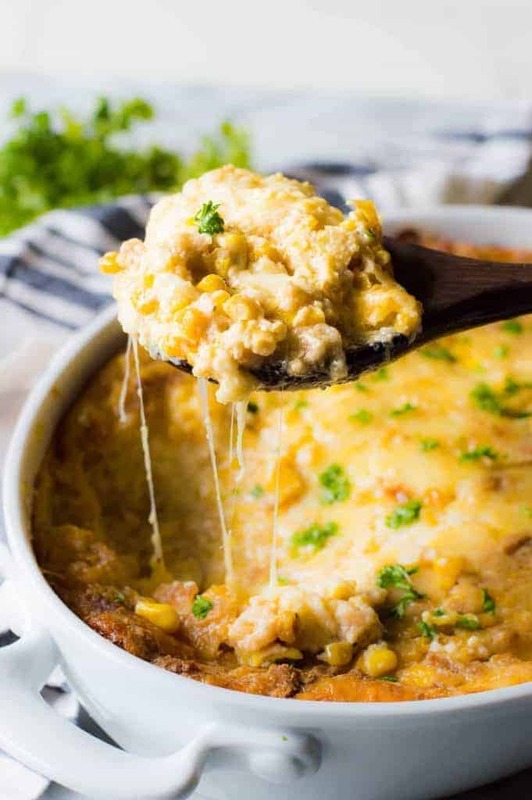 WANT TO TRY THIS CHEESY CORN CASSEROLE?? PIN IT to your SIDE DISH, CASSEROLE or THANKSGIVING board TO SAVE FOR LATER! 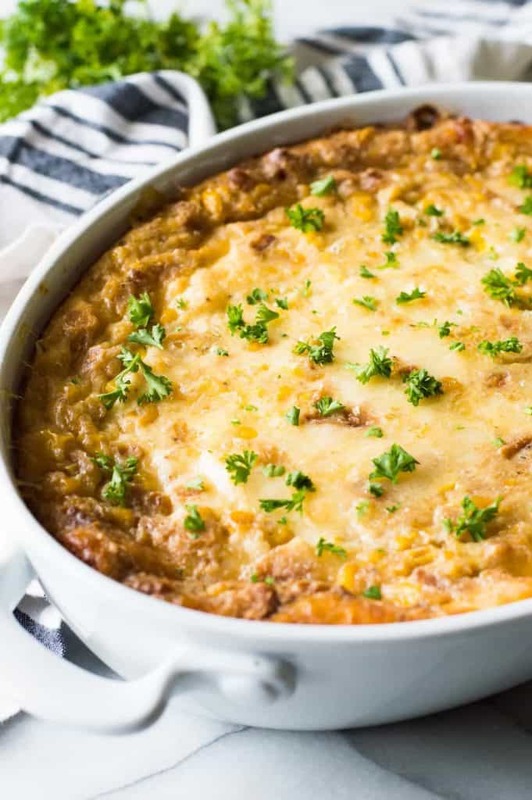 A Cheesy Corn Casserole that is the perfect side dish for any holiday meal! Topped with crackers for a little bit of crunch. Drain whole kernel corn into a cup, set aside. Add the corn to a medium size mixing bowl. Pour in half of the liquid from the corn, approximately 1/3 of a cup. Add the cream style corn, milk, butter, eggs, onion, salt and pepper. Stir to combine. Fold in the cracker crumbs and cheese. 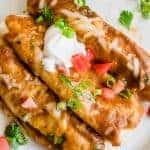 In your corn recipe you never told what to do with the eggs? !I I just added them before the crackers. It’s in the oven now. What size can of evaporated milk? I’ve been making Corn Casserole for many, many years but never added cheese. Wondering what that does for it (besides add calories). 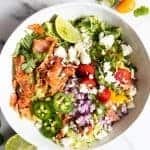 In the “old days’ we used evaporated milk but I have used regular milk for years, and instead of adding the extra can of corn that is listed here, I add a large handful of frozen corn. Makes it all more affordable and still maintains yummy taste. Hi Sharon! 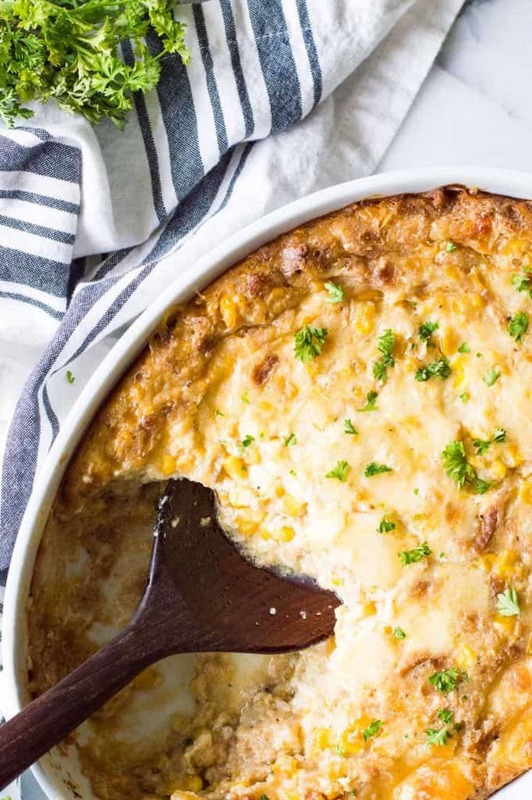 The cheese definitely makes the casserole creamier and it does add more calories. This is just our version of corn casserole passed down from Gramma. Looking forward to making this dish on Christmas Day. What size can do you use for the corn kernels and creamed corn – the 8 oz. or 15 oz. ?